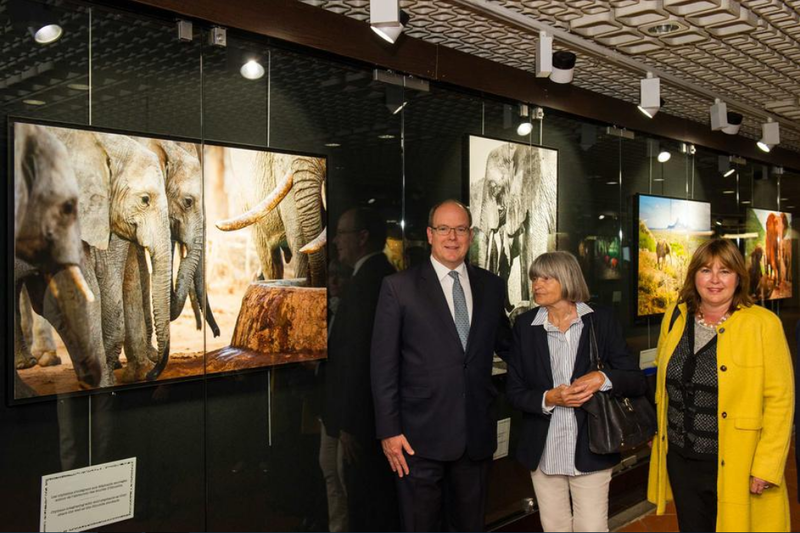 On Monday 1 May, Prince Albert II of Monaco visited Philippe Pasqua’s exhibition entitled “Borderline” at the Oceanographic Museum. 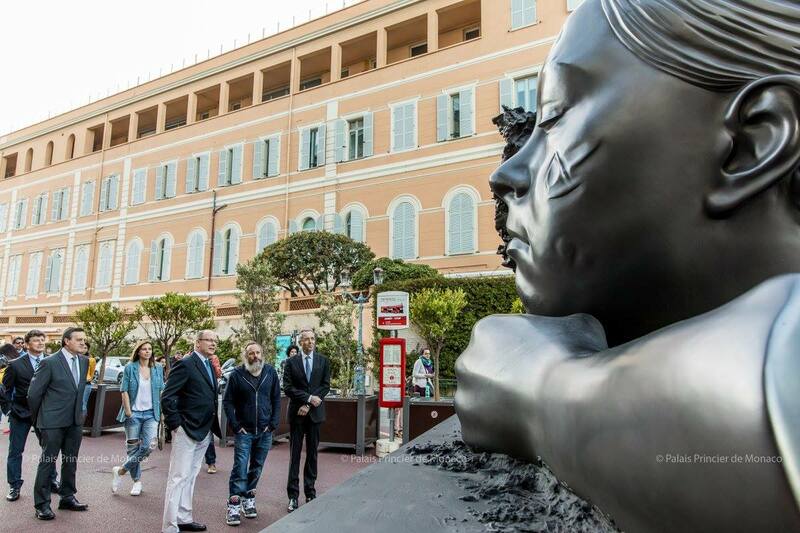 From 5 May to 30 September, the public will be able to discover twelve monumental works by the sculptor Philippe Pasqua, including seven unpublished works. They take up the whole place, from the parvis to the panoramic terrace, passing by the cliffs of the Rock, below the centennial building. In this Museum dedicated to Art and Science, the artist expressed his sensitivity and questions the public about his relationship to nature, death and rebirth. Prince Albert II at the Borderline Exhibition. From 5 May to 30 September, the public will be able to discover twelve monumental works by the sculptor Philippe Pasqua. Prince Albert II made an official visit to Bratislava (Slovakia) on Tuesday 2 and Wednesday 3 May. On Tuesday, 2 May, the Sovereign Prince was welcomed to the Presidential Palace by the Slovak President, HE Mr Andrej Kiska. The two leaders were able to share exchanges on common issues face-to-face, such as economic cooperation between their countries, their respective relations with the European Union and topics relating to current affairs. The two Heads of State then joined the Economic Forum Slovakia-Moldova to witness the signing of an economic cooperation agreement between the Slovak ICC and the Monaco Economic Board. The Slovak economy is one of the most dynamic in the European Union and this Central European country has become very attractive to investors. The Sovereign Prince was also able to meet Prime Minister Robert Fico for a luncheon at his invitation. 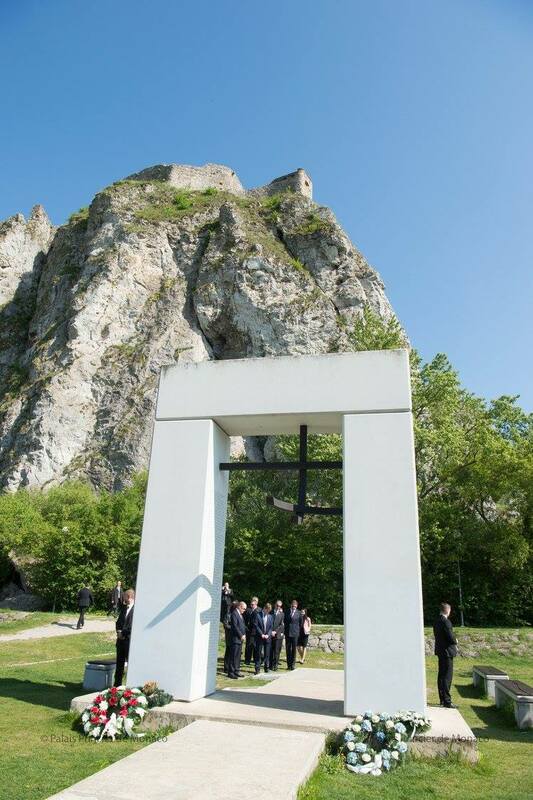 HSH the Prince wished to visit to the memorial “The Gate of Freedom”, a monument erected at the junction of the Danube and the Morava in memory of several hundred men and women who were killed on the border of Czechoslovakia during an “Iron Curtain” attempt between the years 1945-1989. The day ended with a formal dinner at the Presidential Palace. On Wednesday 3 May, the Prince visited the Museum of Modern Art Danubiana as well as the Samorin X-Bionic Sphere Sports Complex. 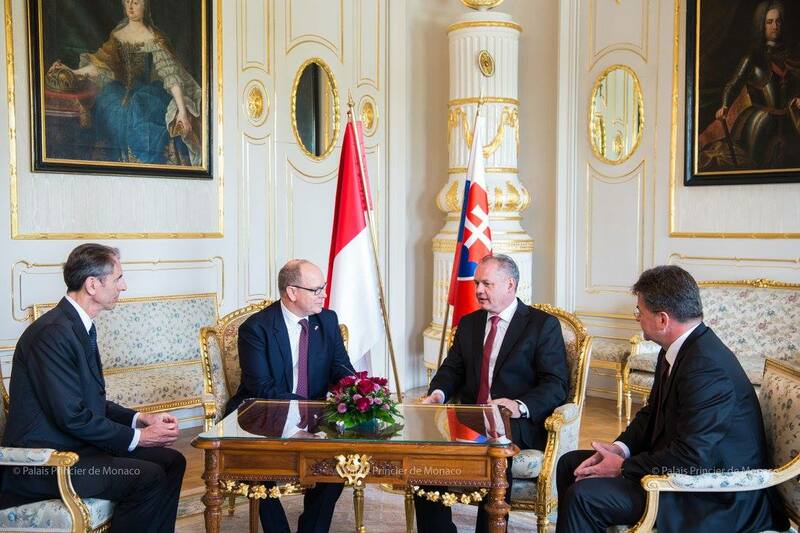 On Tuesday, 2 May, the Sovereign Prince was welcomed to the Presidential Palace by the Slovak President, HE Mr Andrej Kiska. 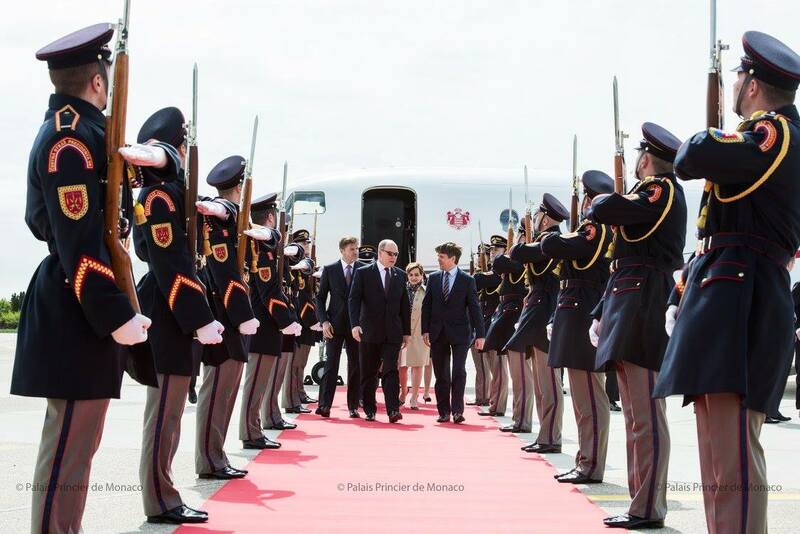 Prince Albert II made an official visit to Bratislava (Slovakia) on Tuesday 2 and Wednesday 3 May. Prince Albert visited the memorial “The Gate of Freedom” in memory of several hundred men and women who were killed on the border of Czechoslovakia during an “Iron Curtain”. The Department of the Environment is organizing the photographic exhibition “Save the African Elephants,” in partnership with the SEA Associations and the David Sheldrick Wildlife Trust. The aim is to raise the awareness of as many people as possible of this cause. The elephant is in danger of extinction; it is hunted for its ivory and suffers from a lack of access to water. The exhibition is on show at the Pêcheurs Gallery, for maximum visibility. H.S.H. the Sovereign Prince visited the exhibition recently with Marie-Pierre Gramaglia, Minister of Public Works, the Environment and Urban Development, Valérie Davenet, Director of the Environment, Olivier Wenden, Director of the Prince Albert II of Monaco Foundation and Ingrid Von Anthoni (SEA Association). The exhibition is on display until Monday 26 June 2017. It is a travelling exhibition, and will continue on its route to France and then Germany. 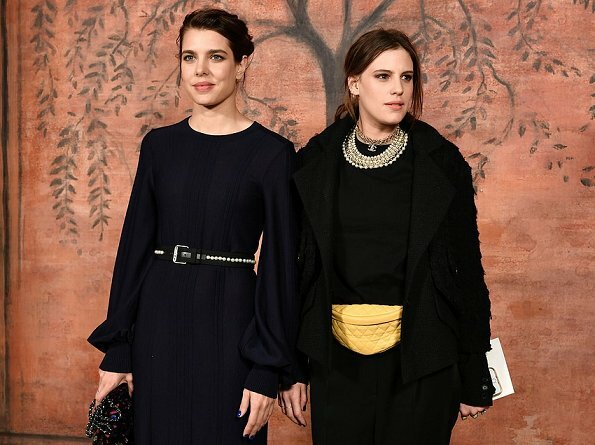 Meanwhile, Princess Charlotte Casiraghi attended another fashion show in Paris. 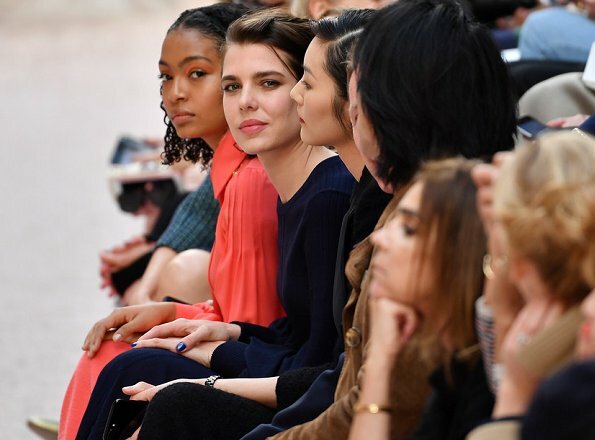 This time it was the Chanel Cruise 2017/2018 Collection Show held at the Grand Palais on May 3, 2017 in Paris, France.